Ross Cortese a 46 year-old developer had a dream to provide a place where senior citizens could enjoy life anew and with comfort, security and dignity. As a successful builder, Cortese, developed 541 acers into the first senior community in Seal Beach where housing would be affordable, and the facility would include recreational, medical and religious facilities for residents. Early brochures described L. W. Seal Beach as the “Country Club City for Happy People”. Cooperative apartments sold for approximately $9,000 to $11,000. Down payments ranged from $680-$796 and the monthly ranged from $92.50 to 103.50. These fees covered all services, as well as principal, interest, taxes, and insurances. Residents were informed they would be free from landscaping maintenance. The apartments were all-electric appliances, as well as extra-wide halls, sit-down showers, individually temperature-controlled rooms, private patios and gardens. The community first had three clubhouses, with the fourth added in 1974, a fifth in 1996 and a sixth was added in about 2002. Also included was an amphitheater, a large swimming pool, Jacuzzi, a nine-hole golf course, its own transportation system, a nearby shopping center, extra-wide side walks and its own security force. Cortese spent two years researching his pet project before obtaining financing to build. His dream did come true. The Federal Housing Administration (today called Hud) backed the cooperative housing venture by guaranteeing L. W. 40 year mortgages. In 1960 construction began, Mutual 1 (consisting of 488 units) sold out in nine weeks. FHA requirements included annexation to an established town, so the area became a part of the City of Seal Beach. The first residents moved in on June 8, 1962. By March 1963 4,418 units had been purchased. The first loans were paid off in 2002 and the balances of the loans were paid off in the following 3 years. A new resident does not purchase an apartment outright. He purchases a share of stock in a registered California corporation. The cash payment constitutes the equity of the seller. The Golden Rain Foundation, a not-for-profit corporation, was established as the sponsoring body of Seal Beach L. W. and holds in trust for the collective Mutual Corporations the common areas and properties such as the main streets, the golf course, the clubhouses and administration buildings. Each resident is a shareholder in a Mutual Corporation. All of the Mutual Corporations are collectively represented by the Golden Rain Foundation. 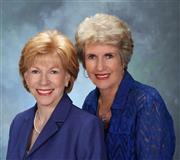 A President and Board of Directors are elected to the Golden Rain Foundation Bi-annually. These positions are volunteers and are made up of L. W. Residents. Each corporation is referred to as a “Mutual” and is like a giant homeowner. Mutuals collect a monthly carrying charge from each of its family member (stockholders) and in turn pay maintenance fees, and keeps the buildings, standard LW appliances and the Mutual’s common grounds in good condition. It invests reserve funds to earn interest, keeping residents’ fees as low as possible. Each mutual corporation has its own bylaws and board of directors elected by its residents. Directors volunteer their time. Also, each mutual elects a director to the Golden Rain Foundation Board. The GRF Board is responsible for the communitywide facilities and for the operation of the community. The “Golden Rain Foundation” was named by Ross Cortese for the golden rain tree which he first saw in New Orleans. The golden rain tree is small and its flowers are bright yellow, hanging in drooping clusters. When Cortese first saw the tree he was taken with its beauty and had the idea of making the tree a symbol of the community he was planning for senior citizens. He had 2700 trees sent to California to be planted in the community. Today there only a few of these beautiful trees remaining. L. W. Seal Beach and the Golden Rain Foundation are surviving and thriving in Seal Beach far better than the trees. There are over 6600 apartments and condos and almost 9,000 residents. Self-government has worked well for the residents. There are 16 Mutuals, 1-17 (there is no mutual 13). Mutual 17 is comprised of 126 condos and were built in 1981. California state law requires residents of a senior community to be 55 years of age or over. The average age is in the upper 70’s. The GRF holds open meetings monthly to conduct the business of the Foundation and vote on policy matters. Charter bus trips, social and service clubs, games and classes have always (and remain) available to L. W. residents. Today there are 200- 300 clubs, organizations and activities within L. W.
L. W. is a success story because residents are willing to volunteer their time and talents to perpetuate the dream.